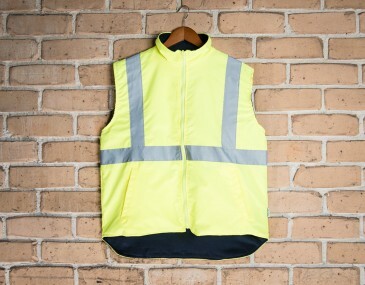 This high visibility reversible vest is suitable for both any number of work conditions. Manufactured to resist even the harshest outdoor conditions, the outer portion of this piece is a waterproof, high visibility fabric, while the high grade fleece on the inner layer provides much needed insulation for cooler conditions. 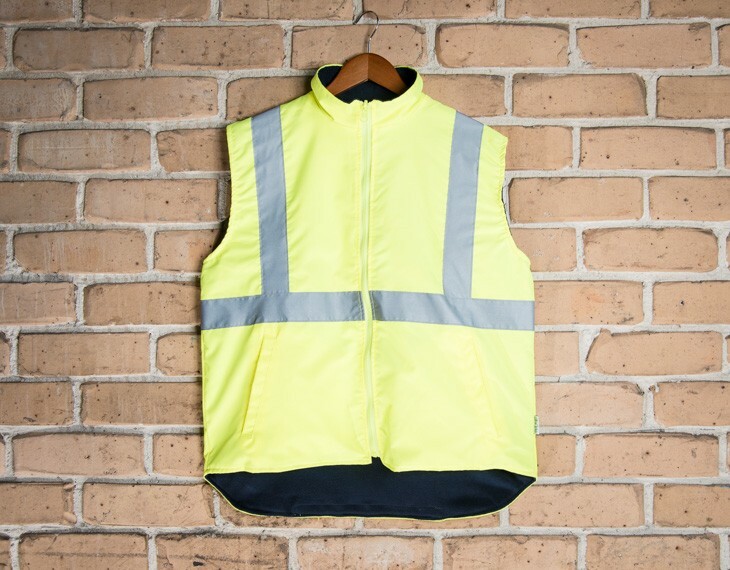 With two side pockets, and the ability to reverse the vest to suit different work environments, this is one of our most useful work safety vests. 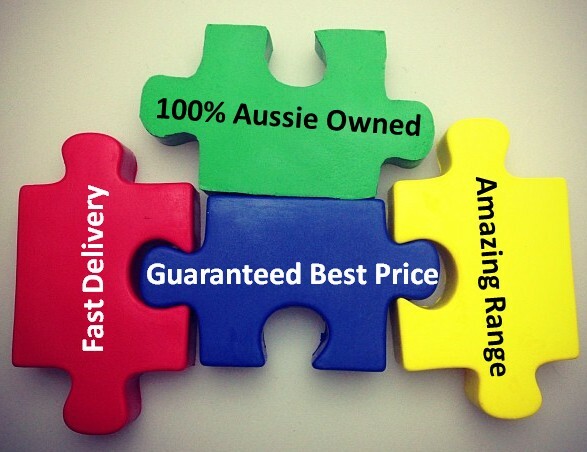 This garment is made with: 100% Pure Polyester PU Coated Shell | 100% Pure Polyester quilt and lining. Size guide measurement: Half chest (CM): s- 63, m- 66, l- 69, xl- 72, xxl- 75, 3xl- 78, 5xl- 84 .